Yes, it an age-old question and one that comes with much debate. Normally I wouldn’t write a post about something so “overly discussed”, however, I’ve received multiple entries into the recipe contest that use tomatoes as their “qualifying ingredient”. Since we have a separate contest category for fruits and a separate category for vegetables, it is required that an entry be submitted only into one of the two. Therefore, I felt it important to settle the debate once and for all to clear up any confusion as to what category to submit a particular recipe for. Tomatoes, by all scientific definitions, are most definitely a fruit. Fruits are classified as such based on the way they are produced within the plants (from the ovary in the base of the flower) and the location of their seeds (within the fruit itself, although some cultivated version have been developed as “seedless”). So if science so clearly defines this, why the debate? Most cooks will classify items based on taste above all else (especially information regarding ovaries!). The tomato is no exception. That being said, most of those who know their way around the kitchen will consider a tomato a vegetable regardless of what any scientist says due to its “savory” rather than “sweet” nature. 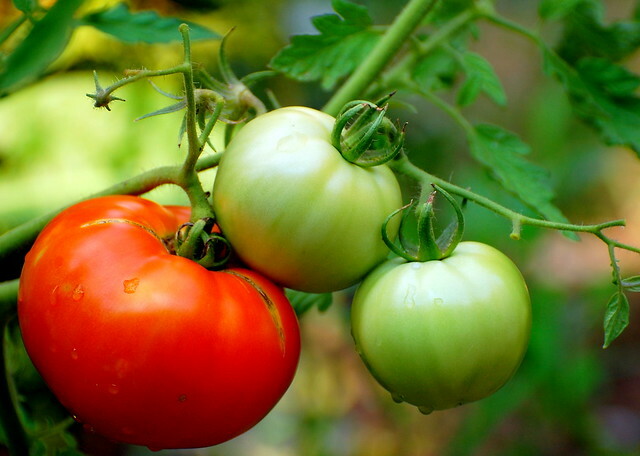 So technically, yes, a tomato is actually the fruit of a plant…but since it is most often used as a vegetable in cooking and this IS a recipe contest, we’ll be considering it a vegetable in the Homegrown Recipe Contest.